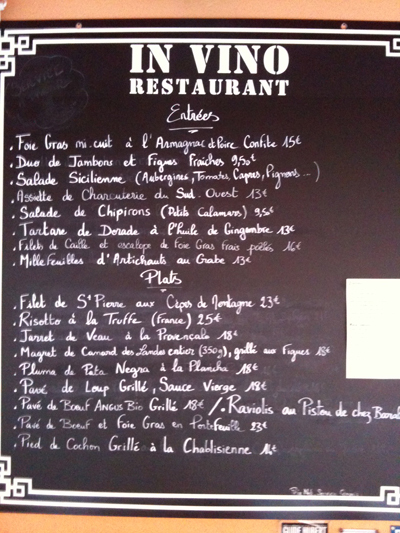 This is a new restaurant/wine bar with some nice cooking to accompany their wine selections. 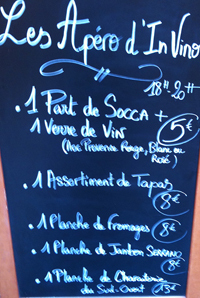 Wines are available by glass, 48cl, or full bottles. There is very nice outdoor seating here. 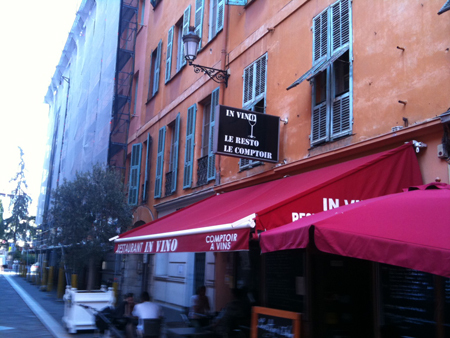 In Vivo is located just across from Nice's Hotel de Ville on a quiet side street by the Opera House. Their full Menu has some Spanish influence. Many ingredients coming from the southwest of France and Spain. Note: Service can be very slow here, so if time is an issue this is not a good choice.